What is grace? What difference can grace make in our lives? How does the Savior make His power available to us? And what must we do to gain access to that power? In Amazed by Grace, Sheri Dew discusses each of those important questions, exploring a topic that she describes as being central to the Atonement of Jesus Christ. "The most compelling, most life-changing message of all time," she writes, "is that Jesus Christ has already triumphed over sin, death, hell, temptation, and every kind of misery." As we come to more fully understand the majestic doctrine of grace, our faith will increase. We will see how the Savior keeps His promise to make weak things strong. And we will believe the truth that "His Atonement makes available all of the power, peace, light, and strength that we need to deal with life's challenges." Just more of the same on the topic and a lot of very superficial statements. What a great little book! I so appreciated the insight into what grace is and is not. I also appreciated the explanation for "after all we can do" (2 Nephi 25:23). This is a wonderful testimony of grace, the Atonement and discipleship. Strengthen my testimony and let me see things in a different light. Now that I have read this beautiful volume twice I have come to know through Sis. Dew a more complete and inspired understanding of the principle of grace and how it really works in our lives. As I have gleaned knowledge and understanding from other authors on the subject Sis. Dew has filled in the gaps that are so greatly needed to come to know how grace works and is involved in our day lives. Coming from the Father and Son in a myriad of ways that I never understood before. 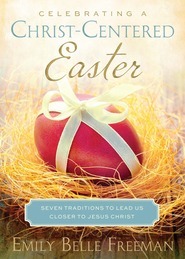 After digesting this book you too will be "Amazed by Grace." I'm listening to this cd and am loving it. So far what I read has been one of the best explanations of grace that I have read. It has filled in many blanks that I was missing in my understanding of Grace. I LOVE everything Sheri Dew. She has a way of touching you and explaining things so well. However, this was my least favorite book by her. I read this book very quickly. I was able to get through the whole book easily in one day. She does an excellent job explaining "grace." This book is good for adults and teens. I did learn a lot from it. I just felt like this book was not as well written as any of her other books. WOW...at long last grace explained! I have read the book and listened to the CD and eBook over a dozen times and still am learning from Sister Dew. Most of us walk through life and never fully understand grace, its power, what it can do for us and how readily available to all of God's children it is. Thank you for sharing this with the world! If you read something from Sheri Dew you can pretty much guarantee that it will be powerful and that you almost have to underline every sentence. This is no exception. The message is short, but the impact lasting and inspiring. Grace is a subject that I have often neglected and taken for granted. This book dramatically shifted my perspective and opened my understanding and knowledge on this miraculous doctrine. This book is absolutely beautiful and inspiring. Sheri Dew has a wonderful way with using words to touch your heart. I loved this book so much that I then listened to the audiobook CD of it. I swear it was a phenomenal listen. I am grateful for Sheri Dew. I am grateful that she knows and understands grace--which she is sharing with us all. I went to TOFW 2014 in SLC. She mentioned the burden story of the guy in NYC, and also included it in this book. It still hit me hard. We all have burdens we have to let go of and give to God, but through His enabling power which is grace we can overcome by accessing the healing powers of Christ and His atonement. It's for us. We do not have to suffer a burden on our own. We do not have to go through anything alone. We have Him. He helps us. Some challenges don't go away, but by relying on Christ, His grace, His atonement, and putting forth our best efforts daily we can feel the load becoming easier in the circumstances where we cannot let go of struggle, challenge, trial, infirmity, and affliction. Because Heavenly Father makes weak things stronger. I recommend this book to not only my friends struggling with grace, but to those friends struggling to know that Christ does make us whole because He loves us. Sheri Dew has an uncanny way of teaching clearly and simply. I feel like I finally have a grasp on what Grace is where so many other books delve so deeply into the topic that I get lost. I appreciated her opening up about her personal experience. This is an excellent gift book for Mother's Day! Sheri Dew shares personal experiences, words of the prophets, experiences of others, and scriptures to better explain grace. If you've ever heard Sheri Dew speak or read one of her books then you know that this is quality reading. She begins her book by answering these four questions: 1. What is grace? 2. What difference can grace make in our lives? 3. How does the Savior make His power available to us? 4. What must we do to gain access to the Savior's power? If you want a good resource on grace and to understand it a little better, you should definitely read this book! A beautiful and sincere look at grace. Amazed by Grace was such a wonderfully uplifting book. It expanded my knowledge of grace and reminded me of what I already know. It strengthened my beliefs and my desire to do as I should and to rest my troubles, challenges, and weaknesses where I should, with the Savior. I loved what it focused on: "what is grace," "what difference can grace make in our lives," "how does the Savior make His power available to us," and "what must we do to gain access to that power?" Each section was short, sweet, and direct in its answer of each question. The author shared a story about a man who was struggling with hurt and anger and related an experience he had one day while out cycling where a voice clearly said to him: "Why are you carrying all of this extra weight? You need to let it go. I already paid the price for their sins, your sins, all sins. I have already carried that burden. I did it thousands of years ago. You need to let it go." "Thus, grace is divine power that enables us to handle things we can't figure out, can't do, can't overcome, or can't manage on our own." "He rarely moves the mountains in front of us, but He always helps us climb them." There were several other sections that I loved and that touched me personally as well. I loved the stories and personal experiences that the author shared and the lessons she gleamed from them that she then, in turn, shared in the book. It was definitely an enjoyable and rewarding period of reading, and one that made me turn to reflecting on my own life. I would recommend Amazed by Grace to all Christians looking to feel more grace in their lives and to better understand it. It would make a wonderful gift, especially with Mother's Day coming up. 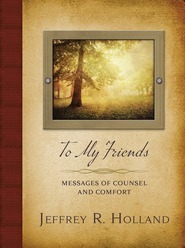 Source: I would like to thank Deseret Book, the publisher, for my complimentary copy, which did not affect my review in any way. I knew that this was an address given at Women's Conference and I cut it out of the BYU Alumni Magazine. I was so glad to get it in hard copy. I found such great comfort in the words, again! I have already gifted it to 2 people in less than a week. How grateful I am for the insight of Sister Dew. I, also, received a greater understanding of the atonement when I read Brother Hafen's book on the atonement. Her words about the application of grace in her relationship with her father has also been my experience. Her feelings in the temple when she felt so overwhelmed by her weakness has been mine too. I am challenged by trying to apply this grace in my life and Sister Dew's insights have helped me open my heart a little more. EVERYONE NEEDS TO READ THIS BOOK! How much do you know about Grace? * What difference can grace make in our lives? * How does the Savior make His power available to us? * What must we do to gain access to that power? Through some really touching stories and examples Sister Dew teaches us that "grace is an enabling power." "The Savior empowers us with His grace, not because we've earned it, but because He loves us perfectly." That sentence, right there, is enough to make this book worth reading! "Tender mercies are ALWAYS evidence that grace is present." Have you had a tender mercy that made a difference in your life? Something that helped you endure a little longer? Read and ponder this book to see how the Savior's grace makes it possible to face "fear, grief, insecurity, or an addiction." Grace, or the Savior's power, is available to us simply because "we live in the dispensation of the fulness of times, when no spiritual blessings are being withheld from the earth." "The Lord is not saving up His grace or power for one dramatic display a the Final Judgment, nor is grace something that kids in at the end of an ordeal. It is there from the moment we exercise even a 'particle of faith' and ask for his help." "The key to unlocking the power of covenant men and women is in covenant men's and women's learning to unlock the power of Jesus Christ." There is SO MUCH in this book...I have barely touched the surface. 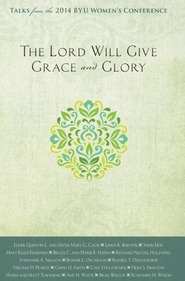 I add my witness that the Lord really does stand ready and willing and able to give us His grace. Read this book to fully understand what grace is and how to access it. Grace is a topic often misunderstood as well as under appreciated. In a beautifully bound book, Sheri Dew explains what grace is, what it is for, and how to access it. Sometimes I think that humans just naturally make things more complicated than they need to be. Sister Dew talks an important topic and explains the essentials of it for the lay reader. Both those who understand LDS church doctrine and those who don't can appreciate the beauty in the words that the author shares with the reader. A wonder book that can be read again and again and appreciated anew each time. This book is based around a talk that Sister Dew gave at BYU last year which can be found online, but I prefer reading it in a more permanent form. I have always loved Sheri Dew. When I joined the church she was a counselor in the General Relief Society Presidency. She is just so "real" that I felt like she was one person that I could really relate to. She has never married and I appreciate her optimism and enthusiasm for life even through the trial of being single (when church expectations are otherwise). I wish that I had been able to face the future with such bravery and faith when we were going through the trial of being childless (also something the church expects otherwise). I have read (I think) every book Sheri Dew has published. She is an insightful woman. This book, Amazed by Grace, was another winner. She discusses Grace, what it is, and the idea of it being "after we have done everything we can do." I was blown away by the end of the first chapter when I realized that I had been defining "grace" wrong and I actually had no idea what it was or what it was all about. It was an easy read. Sister Dew has a special knack for making complex topics understandable for those that read them. Sister Dew's unique style of writing is very conversational. I would sure love to meet her in person one day!